It’s always worthwhile to see the outside through your window. But what you see instead is dirt reminding you that it’s time for another window cleaning. Then there’s your deal breaker. No one likes dirty windows. As much as possible they might as well stay clean. But bet you, it’s not easy at all doing it by yourself. And who has the time anyway? And even if you do, doing it on your own may result in a more unpleasant sight. Why not hand it to the ones who do it professionally? If you want a standard window cleaning then give us a call! Maid in Perth has specialists that take great pride in delivering an exceptional window cleaning service. Hence, enabling us to safely clean your windows whilst delivering you a professional committed service. 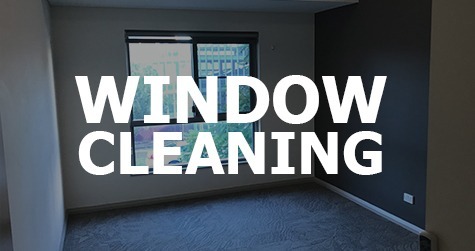 We can guarantee to find a cost-effective solution to any window cleaning task. Making your window restore its best view once again. Whether you’re doing vacate cleaning or just a regular cleaning, we can assist your window cleaning efficiently at your convenience. Be it commercial or residential we can solve your problem! We aim to clean without contributing damages to nature. With the use of our eco-friendly tools and equipment, rest assured it is safe and effective. Our cleaners are highly trained to get the job done with customer satisfaction in mind. They are all insured and professionally trained to provide you with the best service for your home or workplace. How Often Should You Get Window Cleaning Service? It all depends on where you live and what surrounds your property. If you’re living in the city then you may find your windows get dirty quicker. Hence, there’s really no definite time to how often. As soon as you find it dirty, clean it. But after all your hard work cleaning it all by yourself and you still find it unpleasant, then it’s time to call us! Having grimy windows can be depressing in either home or office. Clean windows always make you feel better. Furthermore, it keeps windows clear and free of oxidation, maximising their lifespan and warranty. Not only this but it can help improve the perception of your home or business premises. Get your windows cleaned today! Contact 1300 707 692.